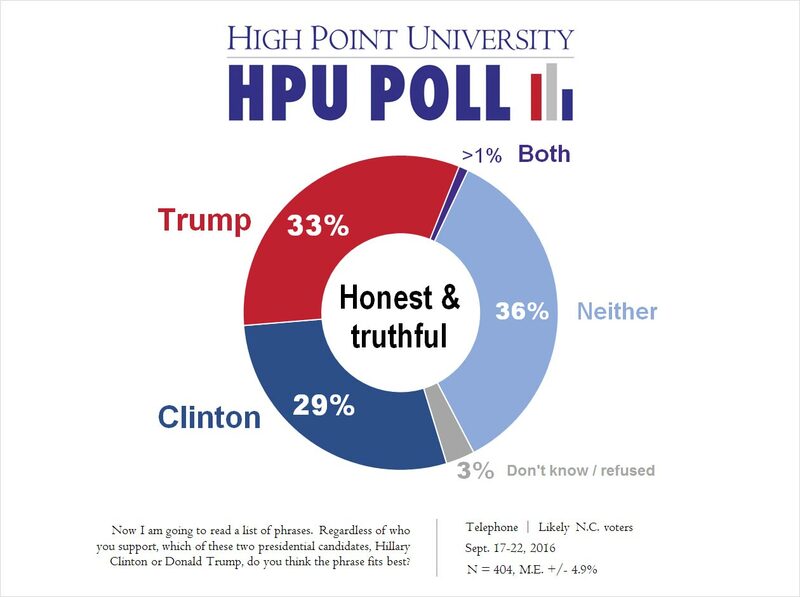 HIGH POINT, N.C., Sept. 27, 2016 – A new HPU Poll finds that likely voters in North Carolina associate different characteristics with each U.S. presidential candidate — Hillary Clinton and Donald Trump. Respondents to the poll also differ in who they trust to do a better job handling a series of policy issues. Overall, Hillary Clinton is associated with more positive personal characteristics, but Donald Trump appears to have small advantages on the issues that likely voters say are most important. 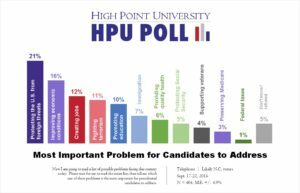 The HPU Poll asked likely voters in North Carolina to select which candidate best fits each item from a list of phrases. More North Carolina likely voters thought phrases like “willing to work with the other party” (19 percent more), “good judgment in a crisis” (17 percent more) “smart” (15 percent more) and “connects well with ordinary people” (12 percent more) better fit Clinton. However, more likely voters thought phrases like “understands the economy” (5 percent more), “strong leader” (4 percent more) and “will do what’s right, not what’s popular” (4 percent more) better fit Trump. 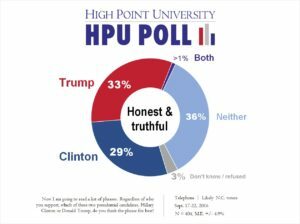 Although Trump had a small possible advantage on “honest and truthful” (4 percent more), more respondents said “neither” (36 percent) of the candidates were associated with that particular phrase in their minds. 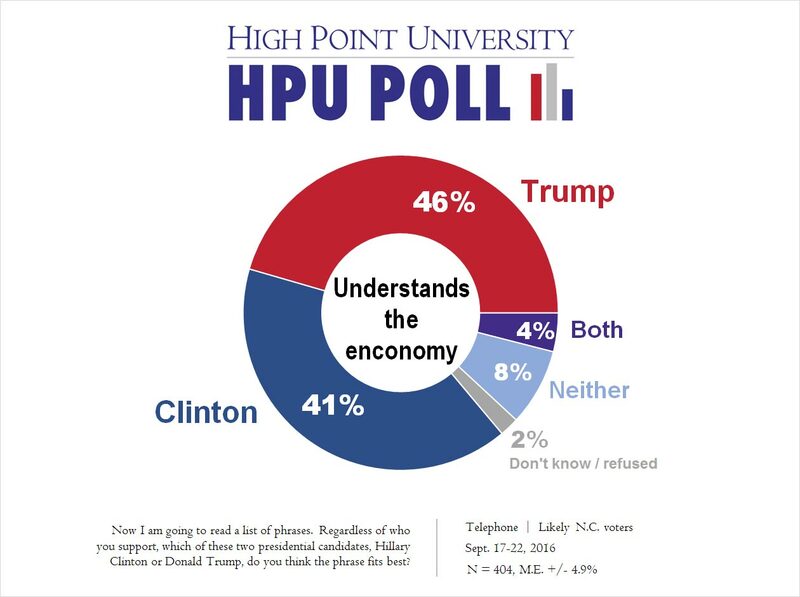 On policy issues, there were differences in how North Carolina likely voters perceive candidates. Poll respondents were read a list of policies and asked who they thought would do the best job dealing with them — Donald Trump or Hillary Clinton. T rump had an advantage on issues such as “federal taxes” (13 percent more), “improving economic conditions” (9 percent more), “creating jobs” (8 percent more), “fighting terrorism” (8 percent more) and “protecting the U.S. from foreign threats” (6 percent more). Clinton had an advantage on issues such as “promoting education” (30 percent more), “preserving Medicare” (25 percent more), “providing quality health care” (22 percent more) and “protecting Social Security” (17 percent more). 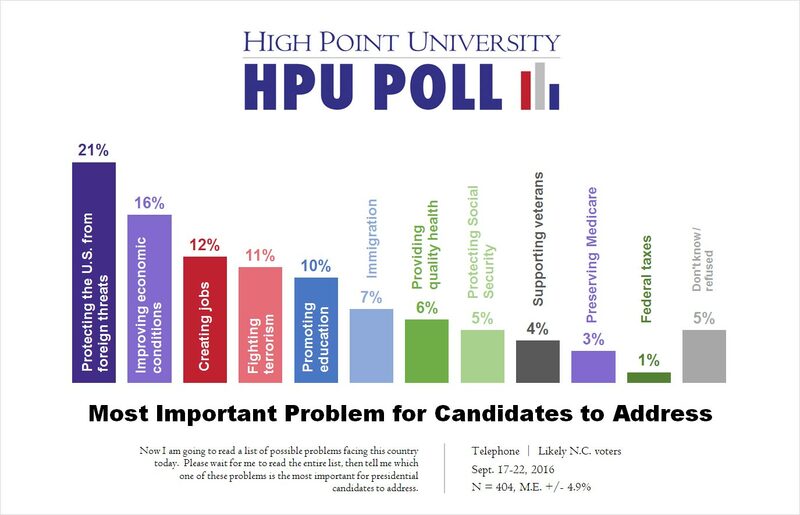 Respondents were asked to rank the most important problems for candidates to address. 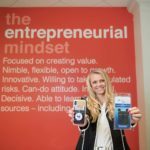 The largest percentages chose “protecting the U.S. from foreign threats” (21 percent) and “improving economic conditions” (16 percent). Other important issues included “creating jobs” (12 percent), “fighting terrorism” (11 percent) and “promoting education” (10 percent).